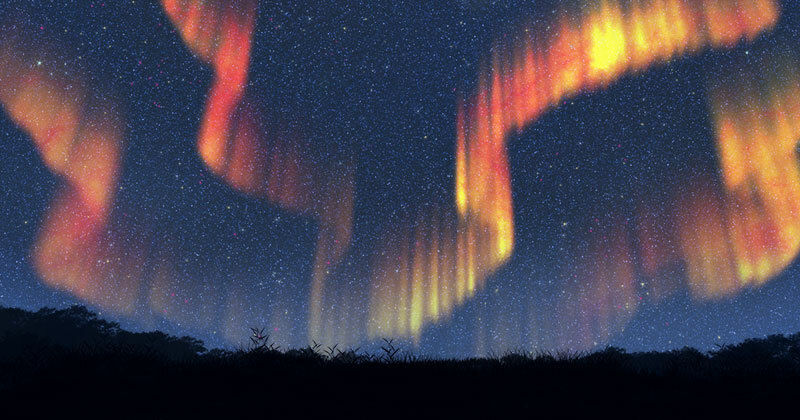 In this quick tutorial, I will show you how to create custom photoshop aurora brush which is good for painting Northern polar lights. Paint a soft edge vertical brush tip shape like the image. The top part of the brush tip should be less opacity and the edge of the brush should be soft. You can use Gaussian blur filter to achieve this too. Convert the image into brush by using, "Edit > Define Brush Preset". 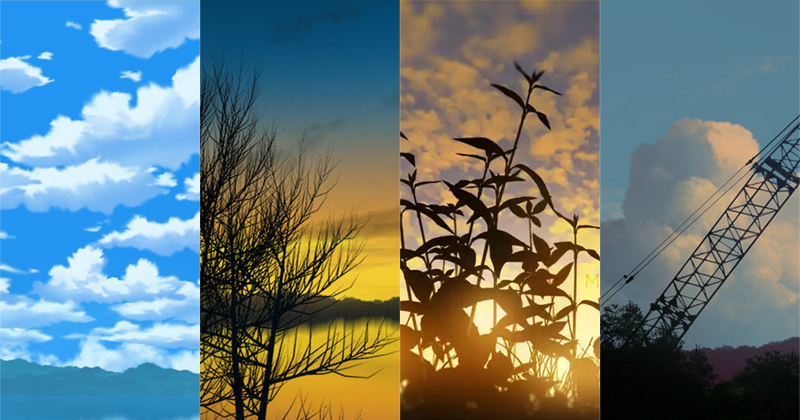 Select the new brush we just created. 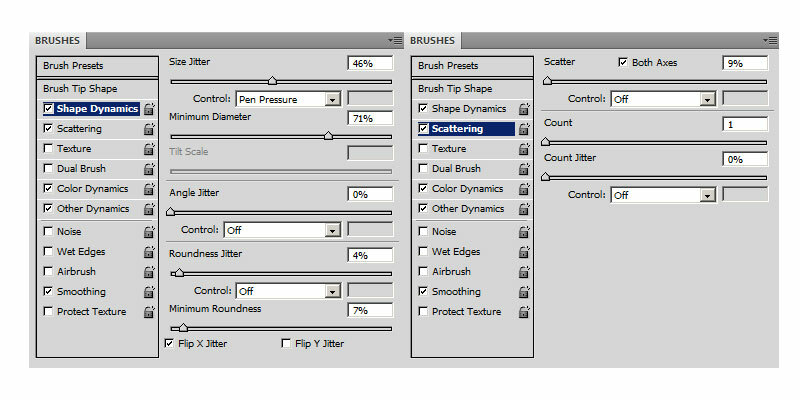 The brush currently is without any settings, so enable "Shape Dynamics", "Scattering", "Other Dynamics" and "Color Dynamics". 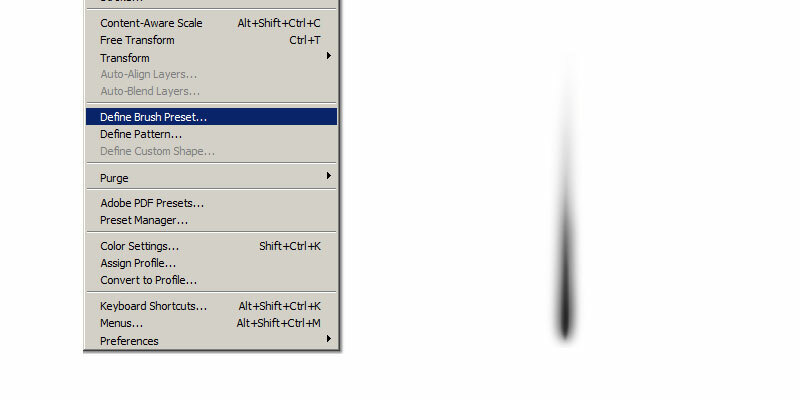 Size Jitter - Randomise brush tip size. 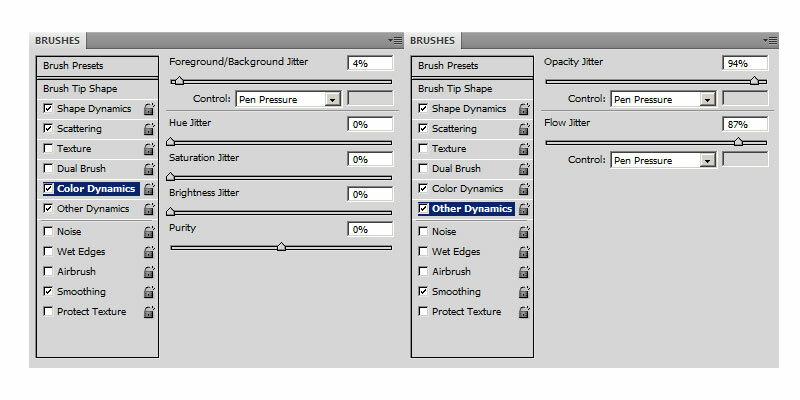 Control - Choose "Pen Pressure"
Minimum Diameter - Minimum brush tip size. Roundness Jitter - Randomise brush tip shape roundness. It will squeeze the tip shape vertically. Minimum Roundness - Minimum brush shape roundness. Flip X Jitter - Randomly flip brush tip in X Axis. Scatter - Use a low value. Control - Choose "Pen Pressure". 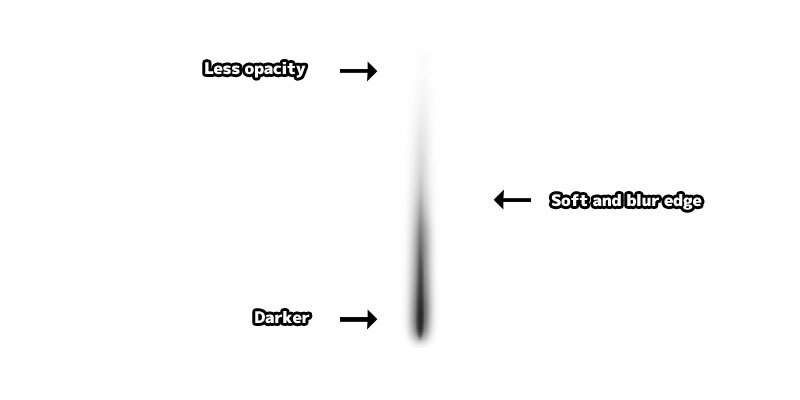 Opacity Jitter - Use a big value. Control "Pen Pressure". Flow Jitter - Use a big value. Control "Pen Pressure". 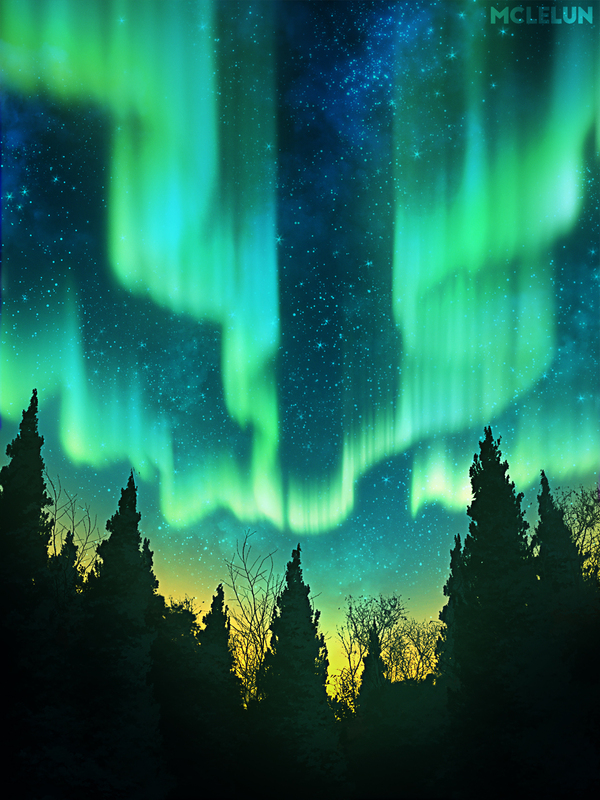 Timelapse painting video using this custom aurora brush.